Broni's set was really good, his solo material impresses me each time I hear it. The thing I like about Broni's live show is that it's always entertaining. He has this way of being able to make anything fun - even those who might not dig his music would still get something from it. So for that Broni, I salute you. ‘Broni is a beautiful songwriter – an open book, deeply honest with a big heart. So refreshing’. 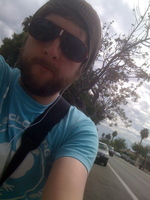 Sean Carey - Producer and ex thirsty merc guitarist. "Broni had the crowd singing along to a song they didn't even know, it was lots of fun"
Broni has a unique ability to make audiences laugh right before he makes them cry, which is pretty cool in perhaps a cruel and unusual way. Make sure you don't miss out. I want to cry. This song is so pretty. Broni's voice is so beautiful and moving. Melbourne singer-songwriter Broni has shown that these humble beginnings have provided the perfect opportunity to perfect his craft. These intimate shows have allowed his music and stage presence to grow organically into something unique and honest, and now he is having the last laugh. 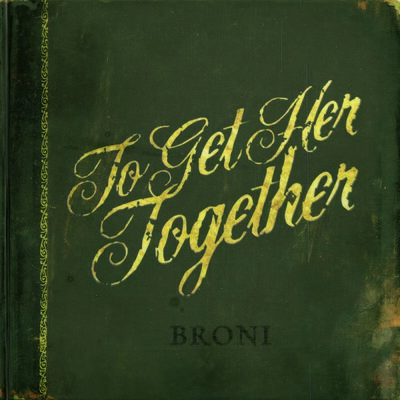 Almost two years on from releasing his debut album Every Thought I’ve Had Since I Was 10, Broni is gearing up for a big 2011 with the upcoming release of his follow up LP; To Get Her, Together. Returning with more personal tales of life and love with his unique view of the world, Broni’s sophomore album is a sincere ode to the simple things in life and the quirks that arise from youth and love. With broad influences such as Ray Lamontagne and Bernard Fanning to Dashboard Confessional and Death Cab for Cutie, Broni breaks the mould of the singer-songwriter to be a distinctive artist in a crowded field. Dividing his time equally between stage performances and intimate house shows for fans, this young performer has used these opportunities to hone his craft and live performance skills. 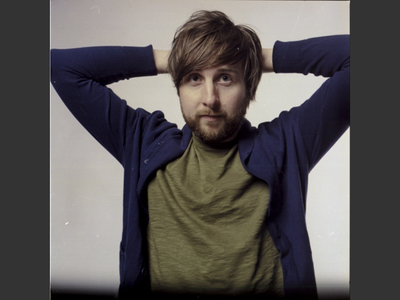 It is no surprise that Broni is a regular feature in the Top 10 of the Triple J Unearthed charts, gets regular play on community and indie radio, and the launch of his debut album saw a sold-out show at Manchester Lane in Melbourne. 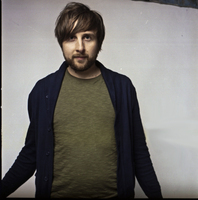 He has played alongside Australian artists such as Bob Evans and Ella Hooper , as well as international artists Bushwalla and Gregory Page, and was also invited to perform at the Falls Festival in 2008. Having recently returned home from his second tour of California in two years, during which he was greeted with many accolades, he is eager to finally release To Get Her, Together in early 2011. As with Broni’s debut album, this has not just been waiting for release since it was recorded, but rather since it was inspired. The first single from To Get Her, Together; Made Up My Mind, is available now through Broni's official website and iTunes. Every Thought I've Had Since I Was 10 is available nationwide at record stores, Waterfront Records and Fist2Face through Psycho Janitor Records, and online through iTunes.